THE PREMISES -A small peaceful 3.5 acre farm site, set back off the road, with 5 stables, barn and shed, with parking for a selection of horse trailers and vehicles. Mostly set to grass but has a kitchen garden, chickens and maybe the odd lamb. YOUR HOSTS - Steve and Pippa Hobbs, both with many years experience within the service industry working with customers/clients. Pippa is the equestrian expert within the team, having many years of all aspects of riding and competition under her belt (or is that saddle). Steve is the horticulturist/groundsman and "Mr Fix It" expert on the Farm. Both will be pleased to meet you and assist in making your holiday a special one. ACCOMODATION - Nuthatches and Finches -2 28ftx10ft well equipped 6 berth modern static caravans, each with approx 45 sq feet of garden/patio space with rural views. Each caravan has 1 double bedroom,1 twin bedroom and a further double pullout bed in the lounge and a shower/toilet. 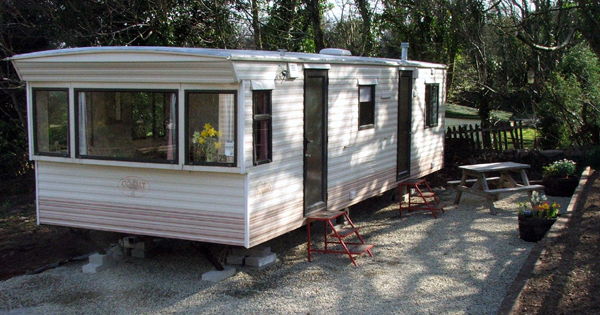 The caravans are connected to mains electric and water, with bottled gas for heating and cooking. FACILITIES SUPPLIED - Duvets/pillows are supplied including bed linen, each caravan has colour television, cooker, fridge, microwave and full kitchen/dining utensils. There is even a small barbecue. DOGS - Well-behaved dogs are welcome - see rules and conditions of hire. EQUESTRIAN ASPECT - 3 large stables and 2 smaller stables are available with turnout option in one of four fenced field areas. Plenty of local rides out, quiet roads leading to off road rides and approx 30 minute drive Dartmoor. See rules and conditions of hire. RULES AND CONDITIONS - unfortunately we do have some rules to work to, in order to keep everyone safe and happy during their stay, these can be found on a separate page. 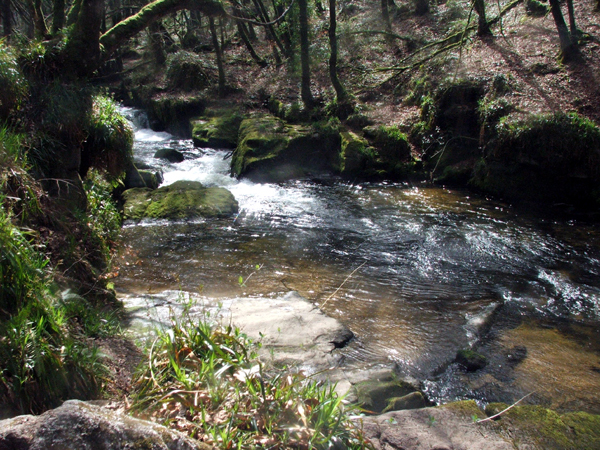 LOCAL AREA - Cox Park is a hamlet situated in the Tamar Valley, between Callington and Tavistock. Minutes away there is a fuel station, Post Office and a well-stocked convenience store. There are also several local pubs serving food. We also have interesting walks and places to visit such as Kit Hill, Cothele House, Cornwall foot/cycle path and the towns of Callington and Tavistock. FURTHER AFIELD - Dartmoor, Bodmin Moor, Exmoor, the fishing villages of Looe and Polperro, the Eden Project. Along with surfing at Bude, coastal scenery and walks on the north and south coasts. These are only a few of the attractions in the Devon and Cornwall Area.